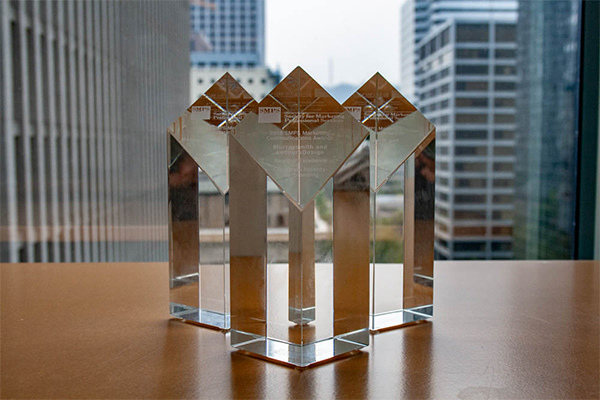 Murraysmith and consultant LecoursDesign were recently presented with three marketing communications awards at the Society for Marketing Professional Services (SMPS) 2018 Build Business Conference! 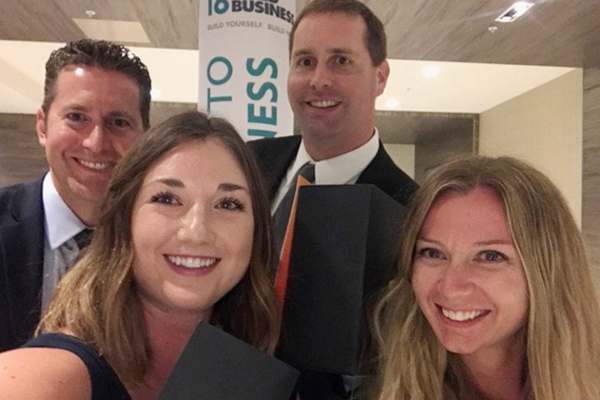 Janie Berg and Emily Weiglin represented our marketing team at the conference, receiving the top honor for three categories: Corporate Identity – Re-branding, Website – External, and Recruitment and Retention Communications – Print. Check out the winning entries. . .
Our firm was founded in 1980. At times, outward appearances indicated that we were stuck there. Like a bad pair of neon leg warmers. Internal/external feedback revealed a brand identity gone stale. 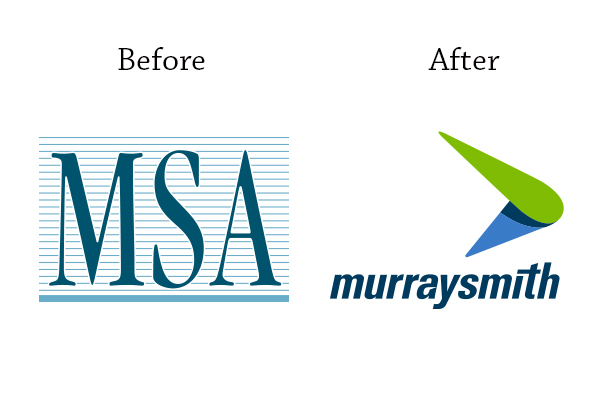 Three elements compounded the problem: name confusion (Murray, Smith & Associates/MSA), inconsistent logo use, and an outdated website. However, we didn’t FEEL like a bad pair of leg warmers. With a tight job market, finding great people was challenging. We needed to present an accurate picture of the energy and forward-thinking mentality of our team to attract and retain talent. It was time to rebrand. 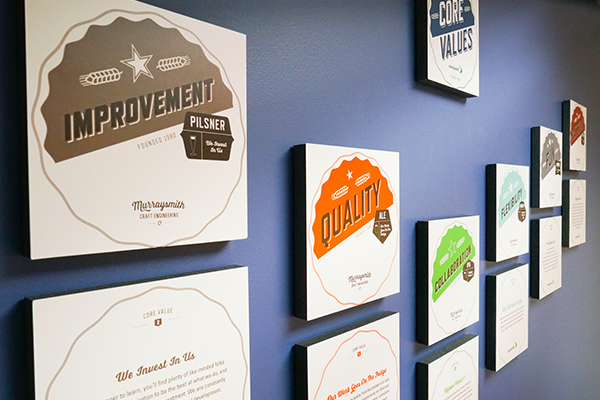 As strategy is the foundation for a strong brand, we went back to our roots to articulate our Vision, Core Values, and Positioning. Through workshops led by LecoursDesign, we defined our brand personality, refined logo ideas, and explored naming. We retired MSA and Murray, Smith & Associates, Inc. in favor of Mur­ray­smith. The name honors our founders, while the -smith suffix suggests expertise in our craft. Much like the hon­ored tra­di­tion of a Black­smith, we are now Murraysmith. From our strategy came a logo and wordmark connoting forward movement. 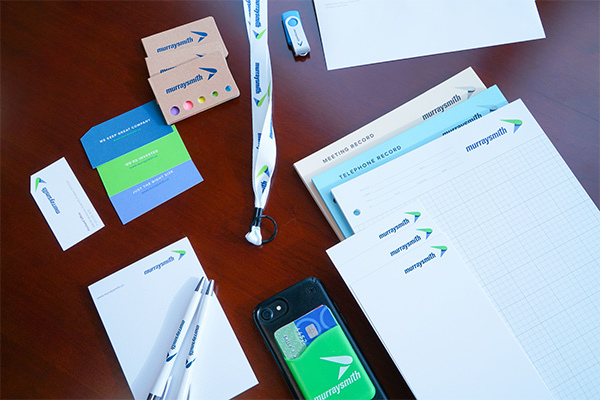 Brand touchpoints from stationery to a new website reflect our new identity. Through a process nearly 20 years overdue, our brand now accurately represents who we are, inviting like-minded people to ‘Join Us’. Twelve months after the launch, we’ve grown our staff by over 40% and maintained a retention rate of 92%, contributing to our primary rebranding objective and the success of our firm. 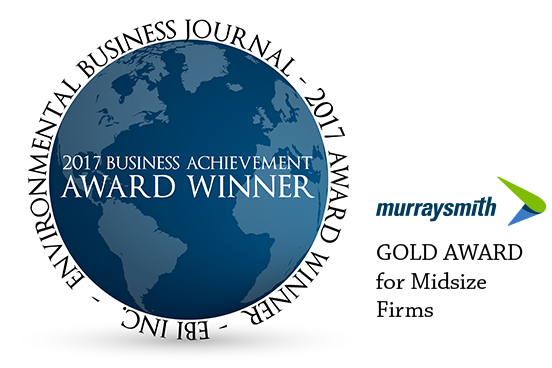 With a primary goal of attracting talent, Murraysmith’s new website has done exactly that. We wanted potential hires to see themselves as part of our team. With the bold move to give all 170-plus employees their own page, visitors form an emotional connection with their new teammates. Each employee has a professional headshot, a “fun” photo, and professional and personal information. Stock photos? Not on our site. We hired a professional photographer KlikConcepts to shoot headshots and candids in our offices to document our culture. Generic copy? Nope. We wrote every word ourselves. Twenty years overdue, this website took immense effort from Marketing to gain executive buy-in. Now, instead of updating the site every 20 years, we do it every day. Instead of spending thousands of dollars to find an engineering student, the student comes to us. It’s not just a website, but an integrated campaign that involved an entire rebranding effort, resulting in one of our most important recruiting tools. The war for talent is real! With a tight job market, finding great people is challenging. To grow the firm, we had to do a better job recruiting/retaining great talent. 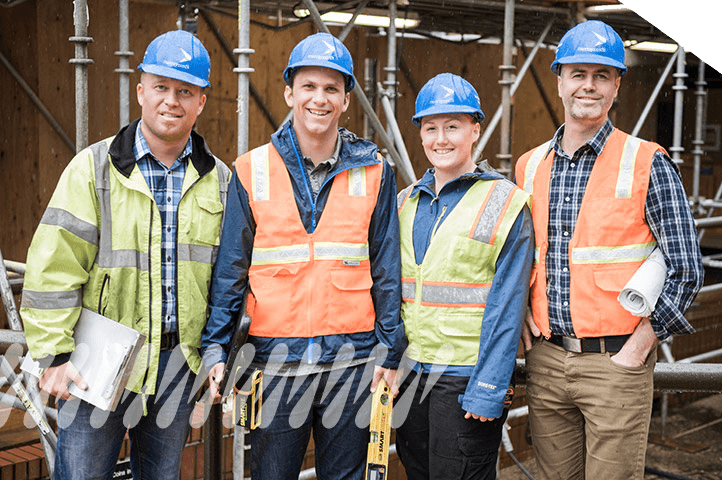 To communicate the culture of Murraysmith to potential employees and build internal morale, we needed to go back to our roots and identify our core values. 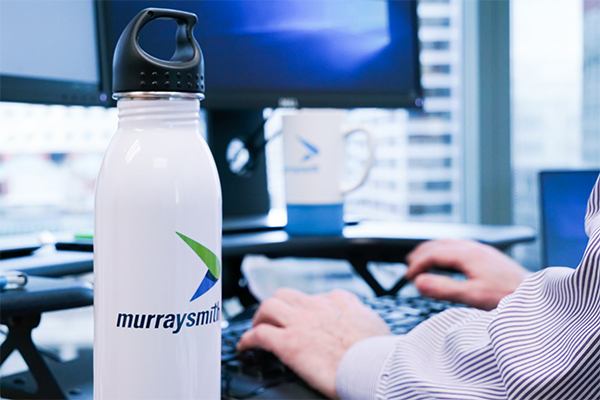 Our core values give prospective hires a sense of what it’s like to work at Murraysmith. The goal wasn’t to produce a generic output that resonates with everyone. We want people who fit our culture. Through a workshop led by LecoursDesign, we worked to define who we are and what we believe. After much discussion, refinement, and voting, we agreed on seven core values. Internal copywriting helped achieve a true reflection of our beliefs and identity. We then transformed our values into a tangible artifact to share with both employees and candidates. Drawing from our medium-sized firm, commitment to quality, and focus on communities we live in, someone said, “we sound like a craft brewery!” This evolved into referring to ourselves as “craft engineers.” We designed a faux craft beer coaster for each core val­ue. Each coaster is let­ter­press print­ed (a craft tech­nique) with the value on the front and its mean­ing on the back. But it’s not just a coaster. It’s one of our most powerful recruiting/retention tools, contributing to 40% growth in staff and a 92% retention rate. 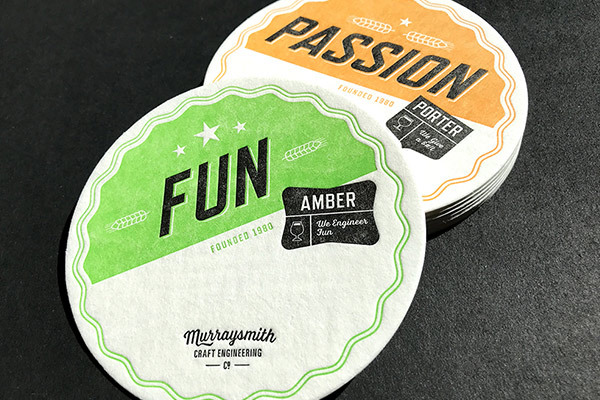 And you’d be hard-pressed to find a single desk without a coaster flaunting Murraysmith’s craft ingredients.